When attempting to log into a CAD Lab computer or connecting to any of the CAD Lab network drives or printers, the users CAD credentials need to be provided in order to complete the desired task. In the CAD Labs the users are given five (5) attempts at logging. If, after five attempts, the user is unsucessful, their account will be locked down for 30 minutes. For the user to gain access to the CAD Lab resources, they will need to do one of two things.... During regular business hours they can contact the CAD Technologist (Wes) to have the account unlocked or they can wait 30 minutes without another attempt for the account to unlock itself. After the CAD Technologist unlocks the account or the 30 minutes have passed, the user should be able to provide the correct credentials to gain access to the desired CAD Lab resource. 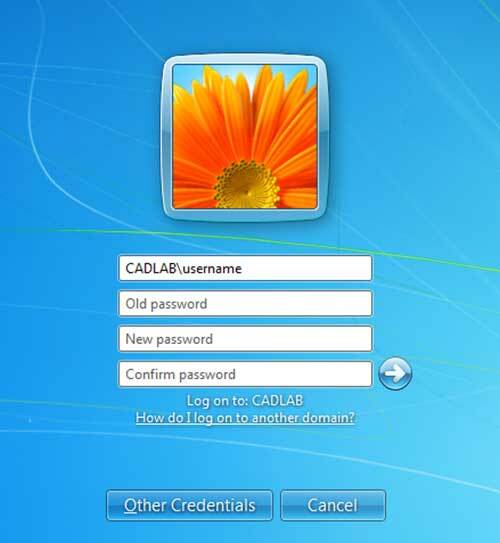 Login to a CAD Lab computer using the provided credentials. Once the user is logged into a CAD Lab computer, press ‘Ctrl Alt Delete’. Type the password used to gain access to the account in the ‘Old password’ section. Retype the new desired password in the ‘Confirm Password’ section. 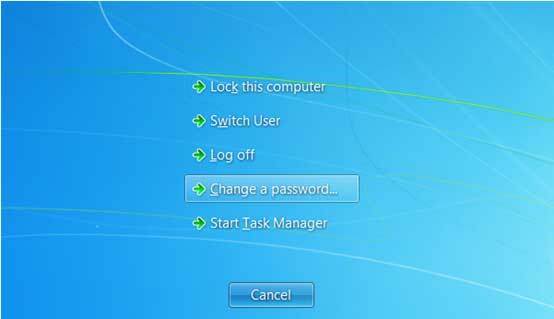 Click the ‘arrow’ to complete the change of CAD Lab password. Note: It is recommended that the user log out and log back in using the new password to ensure that the password was changed. ** It is the responsibility of each student to ensure that their CAD Lab account is secure!